Berenice Abbott (1898-1991). Artist of 4 portraits. This intimate portrait of Irish writer James Joyce is considered one of the defining images of the author. American photographer Abbott photographed Joyce on two occasions, the first in 1926 at his home in Paris, the second in 1928 at her studio. Abbott was a former assistant to Man Ray, employing softly diffused lighting to suggest a complex, introverted character. 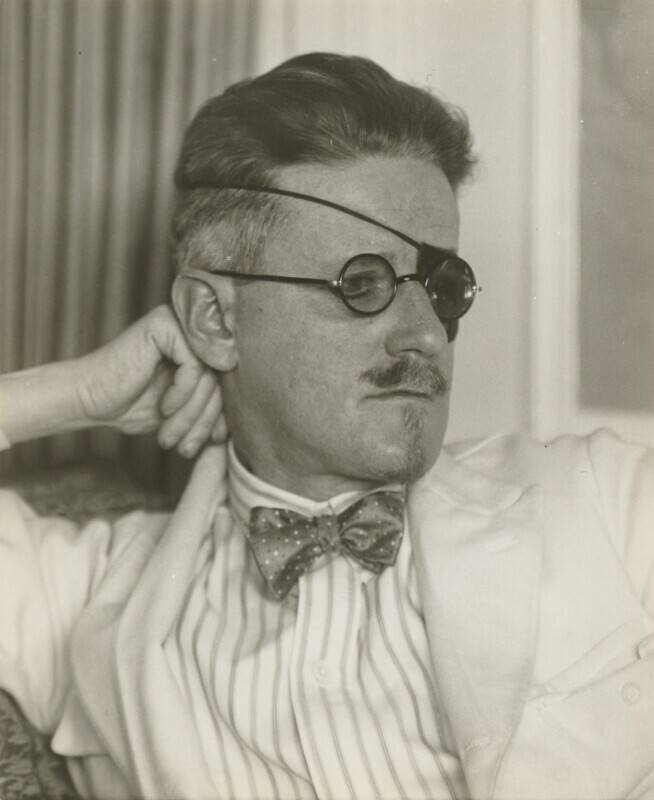 Since the 1910s, Joyce had suffered from eye problems. He had, in all, eleven operations on his eyes and at the time of this photograph was blind in his left eye.